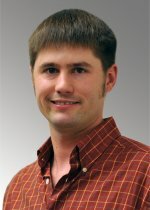 Congratulations to Pacific Northwest National Laboratory environmental toxicologist Dr. Jordan Smith who will receive the 2011 Best Postdoctoral Publication Award from the Society of Toxicology (SOT). The award recognizes exceptional papers in the field of toxicology published from postdoctoral research in 12-month period. His publication "Pharmacokinetics of the chlorpyrifos metabolite 3,5,6-trichloro-2-pyridinol (TCPy) in rat saliva" appeared in the February 2010 issue of Toxicological Sciences. Smith will receive his award at the SOT Annual Meeting in Washington, DC in March. Chlorpyrifos is an organophosphate insecticide widely used in U.S. agriculture. Smith's research uses experimental and computational methodology to investigate pharmacokinetics and biological effects of pesticides, specifically regarding biosensor development and risk assessment of potentially sensitive populations, such as children. Reference: Smith JN, J Wang, Y Lin, and C Timchalk. 2010. "Pharmacokinetics of the Chlorpyrifos Metabolite 3,5,6-Trichloro-2-Pyridinol (TCPy) in Rat Saliva." Toxicological Sciences 113: 315-325.